We have decided under normal circumstances to discontinue this "daily news" chapter of our website. We have and will continue to attend on a regular basis the Locarno, Nyon and Solothurn film events - and from a distance Berlin, Cannes and Venice film festivals. Further we remain active as member of the European Film Academy, while contributing to our local film club "Gland'Ecran" and other regional cultural activities. In February, Moritz - now 75 - was reelected in the Green party (www.verts-gland.ch) as member of the Town Council for another five years. A friendly face has left the scene, leaving us with memories of a kind and friendly person, highly professional, who years long crossed our career. 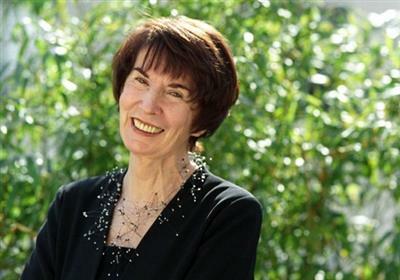 We mourn Denise Breton, the French “grande dame du cinéma”, a generous person. The Greens of Canton de Vaud have formed a committee to publish a manifesto on “Culture”, as seen from their perspective: freedom, humanism, diversity, environmental awareness are some of the words that came forward. Moritz de Hadeln attended the first meeting in Lausanne. Work is to be continued in April. Culture is also a topic of our activities here in Gland. Someone must have stolen Derek Malcolm's mailbox. We first received from the Anadolu Medical Center, (Turkey) the message “Please, I really need your help as this is a matter of urgency...” then on March 12, the following message “Sorry for any inconvenience, I'm in a terrible situation. Am stranded here in Cyprus since last night. I was hurt and robbed on my way to the hotel...” . Well, all this does not really sound like mails from one of the top British film critics ! Sorry Derek ! Like the marmot we decided to hibernate this winter, avoiding the Soloturn, Berlin and Fribourg film festivals, but following them from a distance. Next will be “Visions du Réel” in Nyon in April, where we definitely intend to attend. During our short visit to the 67th Locarno Film Festival, our priority was essentially meeting many of our old and new friends, so we sadly had little time left for screenings. It appears the over loaded film programs in and out of competition received mixed comments, but the “Titanus” retrospective was unanimously considered a major contribution allowing to rediscover many important Italian films of the past. The cancelling of Polanski’s visit following polemical statements by conservative circles, reminded us that Locarno has always been bugged with aggressiveness and intolerance. In the 70s they came from the Bishop of Lugano, now from right wing parties. It's almost a trade mark for insiders of the event ! We also witnessed with a critical eye the almost unbearable invasion of sponsors. Gladly, Berlin and Cannes have until now managed to contain it, but this is not the case in Locarno where the presence of sponsors even on stage almost reached ridiculous levels. All film festivals need money, but this should not go to the extent of selling the event’s soul ! 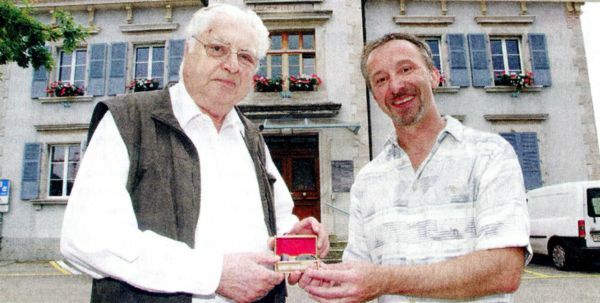 As foreseen by law, after one year as president of the town council of Gland, during an official ceremony, Moritz passed the seal of the office to his successor. He will now return as council member of the greens party to help preparing the 2016 elections. Once again with deep regrets, due to other commitments, neither Moritz nor Erika will be able to attend this year's event on the Croisette. They will follow the festival from far away. From April 25 to Mai 3rd, the "Visions du Réel" documentary festival once again made full house with some 33'000 attending. It was a double anniversary, the 20th of "Visions" and the 45th since Moritz and Erika as pioneers founded the festival (see "La Côte" local newspaper). Moritz headed the event from 1969 to 1980 and Erika from 1981 to 1993. On this occasion both were invited on stage together with their successors to mark the event. A booklet retracing the history of the festival was published, but the online film archive remains to be made. The "Gold Secterce" award, invented by the de Hadeln's and later abandoned, was reintroduced. 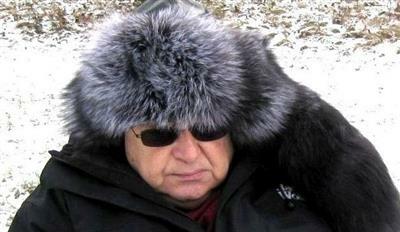 Tribute was paid to Richard Dindo, one of the best Swiss documentary filmmakers. Among the rich program, two films impressed us more particularly: "La Terre Promise (The Promised Land)" by the Swiss Francis Reusser and "Padurea/Suma (The Forest)" by the Romanian director Sinisa Dragin. 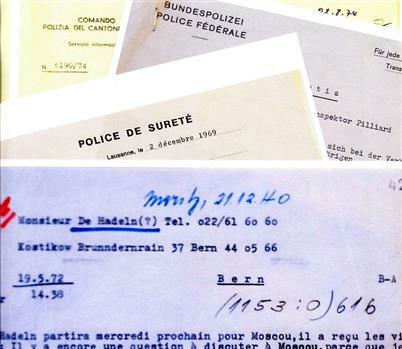 In 1969 the budget was 20'000 Swiss Francs, it now reaches 3 million ! After long planning, the first screening of the new local "Ecran'Gland (Gland Screen)" saw the day. A small team joined by Moritz took charge of the programming in the local theatre. The first film screened was "Le roi et l'oiseau (The King and the Mockingbird)" by Paul Grimault (1980). The second screening on April 16 was a tribute to Charlie Chaplin for his 125th anniversary. It is followed up on Mai 14 and June 18 with new discoveries. Moritz and Erika are residents in Gland. During a short visit, with freezing weather, it was nice to join again with Christian Jungen and Hans-Joachim Schegel for a memorable dinner ! We all sympathised with Andriy Khalpakhchi, director of the Molodist festival in Kiev on the difficult situation in his country, Ukraine. The best film we saw in Solothurn was "La barque n'est pas pleine (The boat is not full)" by Daniel Wyss, a film about Chilean refugees in Switzerland after the Pinochet coup. With the intent in giving our contribution to the100 year celebrations of WWI in France we granted access to the museum of the Charteuse in Douai (Northern France) of some 47 photos taken between 1915 and 1916 by Detlev von Hadeln, Moritz grand-father. These pictures of monuments and street scenes, totally unknown nowadays, were taken in the occupied part of France and used in 1916 for an exhibition on the need to preserve national monuments in a war zone. All elements and records of that exhibition have been lost, except contact copies of the original negatives still in our possession. These photos of remarkable technical quality are the reminder of some dark days in French history. Detlev von Hadeln was, as a young art historian, part of the “Kunstschutz » (“Art protection”) unit of the German army during WWI. The exhibition at the Chartreuse museum in Douai is scheduled from March 29 to July 6, 2014. It is cured among others by the Historian Christina Kott, maître of conferences at the University Panthéon-Assas in Paris 2. Attending for four days the 66th Locarno Film Festival was rewarding. It was the first year for its new director Carlo Chatrian, and he showed courage in his choices. Although, in the view of many, by presenting an over filled program, organizing daily tributes on Piazza Grande - too much is too much - and the ghettoisation of the competition program against endless futile “events” to please the invading sponsors, he hardly served the expectations of many for an event focussed of films rather than side events. Shocking was for instance the tribute to such a world master as Douglas Trumbull, squeezed between a local award ceremony and the show of a pop singer. We also regretted that no screening of George Lucas's "American Graffiti" was made, to mark the 40 anniversary of its world premiere on the Piazza Grande on August 7, 1973 when we then headed the event. When president Marco Solari, whose ambitions seem unlimited, declares “Locarno should become the Davos of cinema” we still await the see Steven Spielberg with the premiere of one of his films attending ! As for us, besides meeting many friends, our stay was rewarded by the screening of two films from Swiss Romandy: “Les Grandes Ondes (à l’Ouest)” by Lionel Baier - a comedy taking place in Portugal at the time of the Carnation Revolution - and the feature documentary “L’Exprérience Blocher” by Jean-Stéphane Bron, a critical portrait of the right wing Swiss politician and multi-millionaire Christoph Blocher, known for his anti European and xenophobic attitudes. For both films, international distributions is foreseen. They say that it is “a once in a lifetime experience” to be for one year chairman of the Town Council ! But in fact all his gestures are codified following a precise program. The only time he can exercise his freedom is with the content of his address on the National Day, yet limited to some 10 minutes ! Moritz de Hadeln chose to dig into Swiss history, soon to discover centuries of wars and legends. What no historian seems to point to is that the transit through the St.Gotthard in those days was a lucrative business in custom duties and guide’s fees. As for the Chart of 1291, recent carbon-14 analysis date it from 1310, some 20 years after its legendary date ! Attached is Moritz’s original speech and its English translation. Moritz de Hadeln’s political activities take a new leap forward. After heading a meeting of the regional Green party the previous evening, he was elected in a rather knotty secret ballot, president of the town parliament of Gland for one year, starting on July 8. Although foreseen, his election required three ballots to neutralize a group of hostile voters, whose justifications went from outright enmity to local political calculations. In accepting his election, Moritz reassured the audience that he will not imitate Michel Piccoli in Moretti’s film “Habemus papam” who at the last moment rejected his election. Now “First Citizen” of Gland, Moritz duties will largely be concentrated in heading the parliament debates, assisted by the legislative assembly’s office. 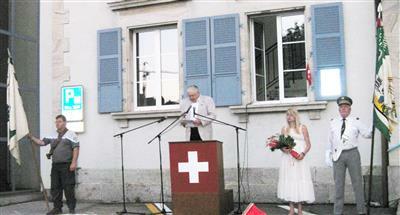 His first obligation will be to hold the official speech on August 1st, the Swiss national Day. Parliament meets 10 times during the year, starting in September. Gland population numbers 12'000, and will soon reach 14'000 with a large satellite complex under construction. The town hosts the world headquarters of WWF and the IUCN. 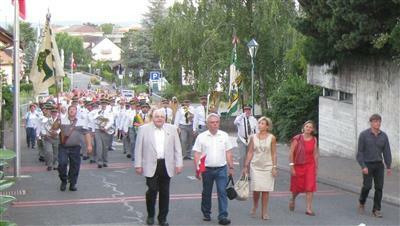 The official parade on August 1st : (From left to right) M. de Hadeln, Mayor Gérald Cretegny, Municipal member Isabelle Monney, Rev. and Mrs André Sauter. In the background the town’s official brass band and children from the local schools. 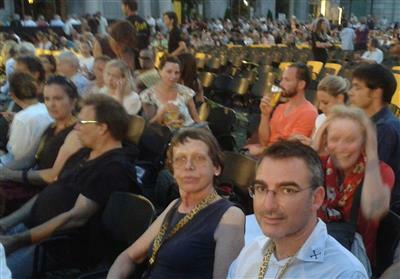 Locarno 2013: Film critic Christian Jungen and Erika attending a screening on Piazza Grande. 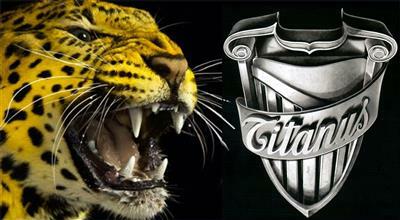 Locarno 2014 - The leopard, symbol of the festival, with the logo of the successful retrospect dedicated to the Italian production and distribution company "Titanus"
March 2015. Farewell to Denise Breton, the French “grande dame du cinéma”, a generous person.